What do fish and bears have in common? Winter hibernation. Koi are the most popular fish to add to a pond. 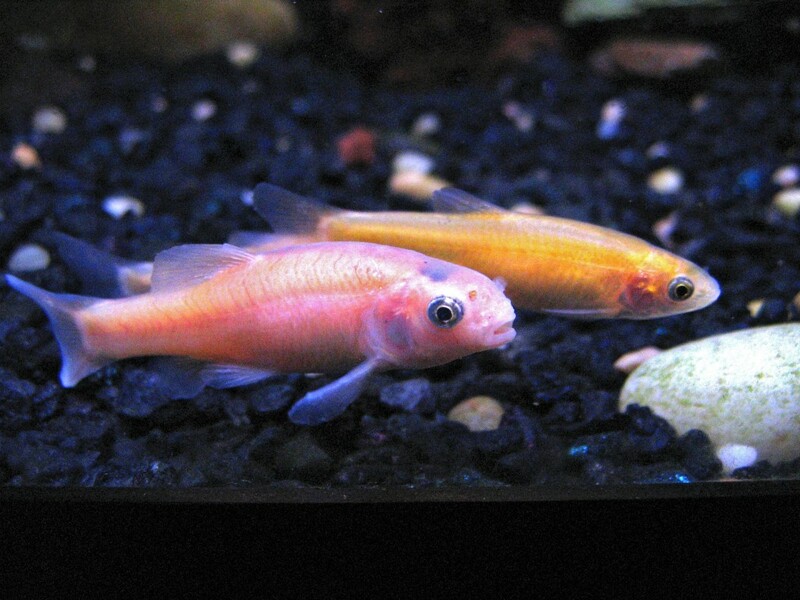 Many times owners name their koi something like Elvis Fishly, turning them from “just another Koi fish” into a family addition. Wanting to care for these new family members brings up a certain question: “what happens to them during the winter?”. The water freezes over, so how will they eat? Will they freeze too? Should I bring them inside? So many questions about what’s the best way to care for your fish. 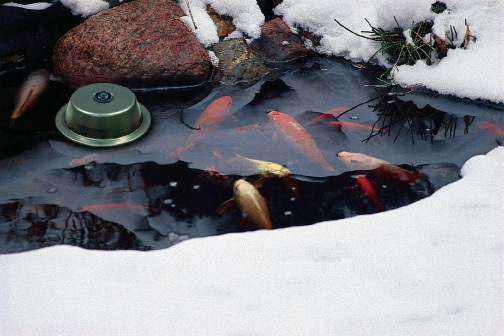 Koi and other pond fish need the same winter care. It’s kind of like ice fishing. During winter Koi go into a state of hibernation where their digestive system stops and they move slowly. It’s as though they go dormant, waiting for spring to be sprung. So what do you do with them until then? Most clients keep their koi fish in the ponds. Like ice fishing, they cut a hole through the ice. This is to let the harmful gases that can build up escape. Without this, the fish are in danger of dying. Some clients like to bring their fish inside during winter. They put them in a holding tank of sorts. If you choose this option, use water from the pond in the tank or slowly introduce the fish to new water. If they are put in new water too fast they can go into shock, which is dangerous. Make sure to use a water treatment for new water! As for the hole, just use a pond heater or de-icer. No need to Hulk smash a hole through the ice. The heater/de-icer sits on top of the ice and slowly makes a hole. An LED light indicates when it’s in use, and with low operating cost, you save money! Combine this with an aerator for the best results. If you have any other questions you’d like answered, give us a call at (301) 821-7777. Or if you have a pond project or service in mind, fill out our contact form!